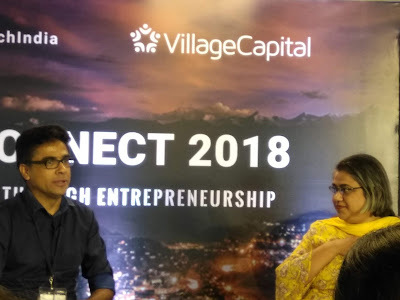 Global philanthropic investment firm Omidyar Network, in partnership with venture development firm Village Capital, hosted India’s first-ever civic technology event – the Civic Tech Connect 2018 – focused on bringing together investors and entrepreneurs to build India’s civic tech ecosystem. The event, held in Bengaluru on June 14, saw more than 100 entrepreneurs, investors, philanthropic funders, industry experts, and civic tech opinion leaders from across the country come together on a single platform for the first time. The event also saw discussions with experts such as Viraj Tyagi, CEO, eGovernments Foundation; political economist and former IAS officer, Santhosh Mathew, and Kartik Desai, executive director, Asha Impact; as they shared their insights and experiences in developing technological initiatives that will scale and create long term impact. Poor infrastructure, lack of waste management and traffic issues were identified as some of the key civic issues that can be tackled though civic tech, and the discussion highlighted the opportunities and challenges for entrepreneurs looking to build scalable and impactful solutions in this space in India. “Awareness around the application of civic tech remains low among potential end-users, even with increasing smartphone and internet usage,” said Deepak Menon, regional director, Emerging Markets, Village Capital. “It is important to not only create business opportunities and provide mentorship for entrepreneurs to ideate and innovate within this space, but also proactively initiate conversations around civic technology among citizens as a viable solution to their everyday civic and social issues,” he added. 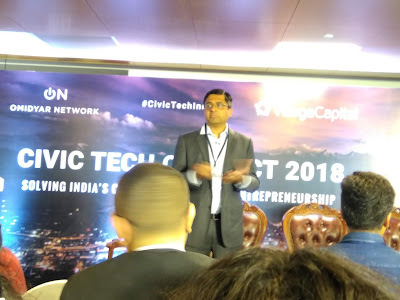 Civic Tech Connect 2018 was the official launch of Omidyar Network and Village Capital’s Civic Tech India 2018 Accelerator program. The three-month accelerator program will train early-stage civic engagement ventures by bringing together entrepreneurs, influencers, the government, and potential funders from across the country, through a series of forums and workshops. The program is designed to help the ventures scale, grow their revenue, and become more investment ready, while building a community of diverse ventures and stakeholders working to solve India’s most pressing civic engagement problems. 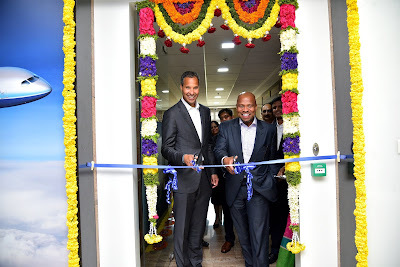 Boeing has inaugurated the newest phase of the Boeing India Engineering and Technology Center (BIETC) in Bengaluru. Spread across 150,000 sq. ft. and eight floors, the new facility will double Boeing’s existing footprint of 160,000 sq. ft. and will accommodate another 1,000 new employees, who will work on cutting-edge technologies that will drive aerospace innovation from India, for India and the world. While the new facility will incorporate software technologies into design, manufacturing and service offerings, Boeing will continue to scale up its aerospace, R&D and engineering activities in its existing facilities, which are also pursuing a journey of growth. BIETC is recruiting and scaling up exponentially. The center has increased its employee count from just 100 when it was inaugurated in early 2017, to over 1,000. 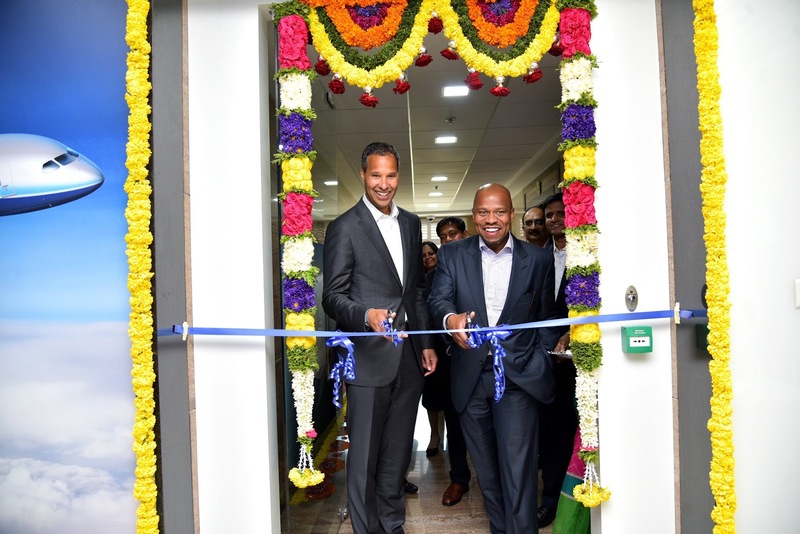 And, as the center grows over the next few years, it will develop into a team of over 2,500 employees in specialized fields of IT, engineering and R&D. From an IT perspective, key focus would be on cutting-edge areas such as Product Lifecycle Management, Enterprise Resource Planning, Internet of Things, Blockchain, Data Analytics and Software Design for aerospace. 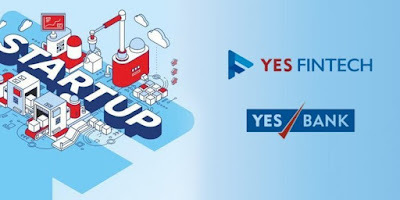 YES BANK, India’s fourth largest private sector bank launched its in-house multi-sector start-up accelerator YES SCALE (Smart City, Clean Tech, Agritech, Lifesciences Tech, Edu Tech). The 15-week program is aimed at creating financial innovations by Sourcing, Scaling, and Sustaining Emerging Technology Solutions in Sunrise Sectors of the Indian economy. 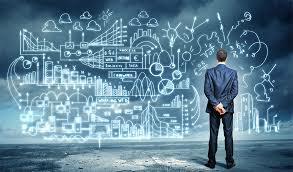 Additionally, for start-ups that have ready solutions, YES SCALE will provide access to a technology sandbox to help them test their solutions in a risk-free environment and give them support worth over USD 1 mn through cloud credits (Google, AWS, Microsoft based on startup preference), cloud telephony, SaaS invoice discounting etc. 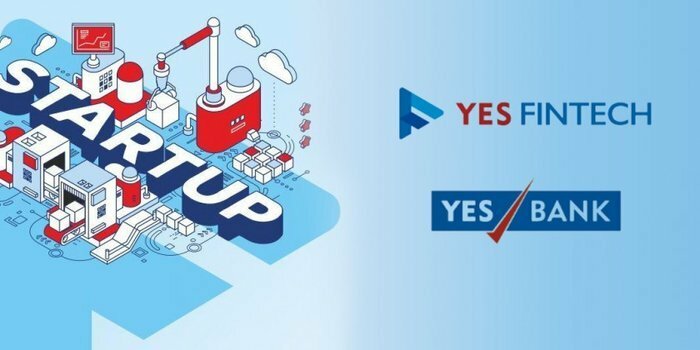 Through YES SCALE, startups looking to take their solutions global will be able to do so with YES BANK’s partnerships with 20+ start-up ecosystems around the world across USA, Europe, Middle East and South-East Asia. YES FINTECH – YES BANK’s Fintech accelerator program which was launched a year ago received an overwhelming response from the global startup & investment ecosystem, and helped the bank establish that fintechs or tech-fins have the potential to create disruptive impact on multiple sectors like agriculture, heath, smart cities, education and clean energy. Commenting on the development, Rana Kapoor, MD & CEO, YES BANK, said, “The success of 2 cohorts of YES Fintech have demonstrated our Bank's strengths in partnering fintechs to co-create industry changing Banking solutions. Now, with YES SCALE, we will replicate this model across YES BANK's focus sectors like Smart Cities, Agriculture, Clean Energy, Education and Healthcare, to build deep interventions jointly with our corporate clients. This is fully in line with the Bank's vision since inception - which was to cater to the 'sunrise sectors of India's economy' using knowledge banking to deliver impactful ecosystem solutions. Recently, YES BANK operationalized its Agritech start-up acceleration programme under YES SCALE, with sectoral organizations like ITC, Nestle, MTR and Amul committing to adopt solutions scaled up in the program and commercializing them either through integration in their systems or further distributing the solution with their supply chain partners. YES BANK has also partnered with Omnivore Partners, Anthill Ventures and Artha Venture Partners who will support the program as Investment Partners while Villgro will provide support to YES SCALE as the official Program Partner. YES SCALE will bring together over fifty organizations, funds, ecosystems as well as Government partners for advisory support. Through YES SCALE, YES BANK is also offering its clients and partners in sunrise sectors, the opportunity to accelerate their digitization processes. ‘Conversational Banking’ has turned a new leaf with the launch of ‘Axis Aha!’, an efficient virtual assistant powered by cutting-edge technology which includes proprietary Artificial Intelligence and machine learning algorithms. This unique chatbot provides relevant and contextual responses to customer queries and even helps make transactions on the chat window itself. Customers can initiate transactions either through voice or chat. This transactional innovation is a ground-breaking way to enable customers to execute transactions, explore products and avail banking services using simple words used in our daily conversations. 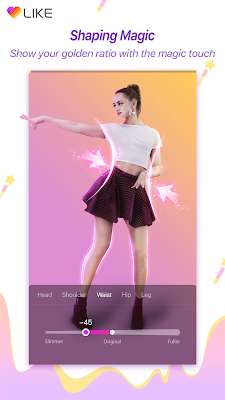 Currently hosted on the home page of the Bank website, www.axisbank.com, ‘Axis Aha!’ is capable of performing diverse actions like fund transfer, bill payments, recharges and also manage card limits, block credit and debit cards, besides others. The voice and chat interface also provides customers an opportunity to query on any of his banking needs. Axis Aha is a part of the Bank’s continuous endeavor to simplify banking by through the extensive use of technology. This interface will gradually be extended to the Mobile banking app and the Internet Banking application. Sharing his thoughts on the launch of ‘Axis Aha!’, Praveen Bhatt, Head - Digital Banking & Customer Experience, Axis Bank, said, “The launch of ‘Axis Aha!’ takes the customer-centricity approach of the bank to an entirely different level as it lays a very strong foundation for artificial intelligence based voice and chat enabled ‘conversational banking’. In a time starved world, Axis Aha with its unique action orientation offers customers the benefit of completing simple transactions either through voice or chat in the very moment without having to navigate through any other channel. o It is capable of crafting intelligent micro-conversations to guide, execute, suggest, remind and simplify basic banking for the customers. o The chatbot resides on a comprehensive banking knowledge base along with self-learning algorithms continuously improve the experience. o ‘Axis Aha!’ currently provides the following capabilities – funds transfer, bill payment, recharge, block card, manage debit card. o Upcoming features include ordering cheque book, card pin set /reset, card limit change, download e-statement / loan statement, apply for loans , cards, etc. o The chatbot is fast; customers can straight away state their needs and it will be serviced without getting lost in the sea of navigation panels. o It also can answer and guide customers with their queries regarding Axis Bank products and services, address grievances, apart from tracking application status as well as reporting fraud. 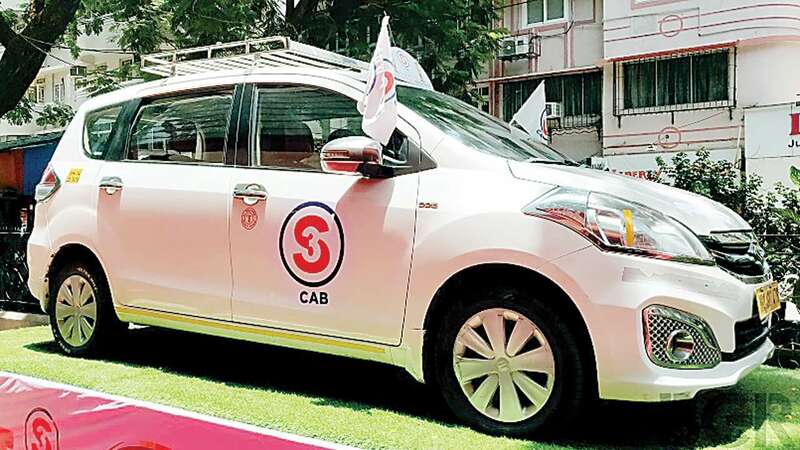 The newest entrant in the taxi business in Mumbai – S3 cabs is finding indigenous ways to benefit the cab drivers and reduce their operational costs. While rival taxi companies are slowing down on the EV plans, due to lack of charging points; S3 has got the approval for a mobile bio-diesel distribution pump. The pump will be used to fill bio-diesel for its cabs across Mumbai. Bio-diesel blend has been made a mandate in many countries. The government had recommended a blend in 2017 but the same has not been made compulsory. Biofuels also reduce the emissions making the environment cleaner. It would help the economy by reducing crude import; India imports approximately 8 lakh crores of crude oil annually. Also, it is priced lower than convention diesel, resulting in savings for the drivers. Shifting to biofuels is also a long-term solution to the problem of rising fuel prices. At the commercial inception of the cab services, S3 had provided a patented technology registered as 'Oxy Power' to all its drivers. 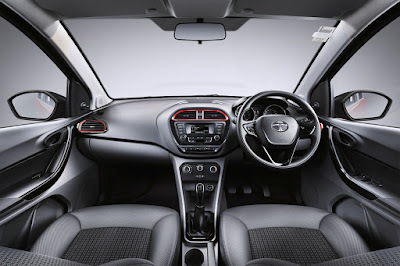 This technology requires an external fitment in the car and helps in the better utilization of the fuel resulting in 20% and 30% reduction in fuel consumption. Reduced fuel consumption helped the taxis to operate at flat fares all the times. Now with BioDiesel, there will be further 5% to 10% reduction in fuel costs resulting in Net overall 40% reduction in fuel bill to be paid by the taxi owners. “The average consumption of fuel by the cab owners based on 300km per day traveling amounts to 30 liters of diesel, and that equals to INR 2200 per day. A 40% reduction would mean INR 880 saving per day on fuel account or as much as INR 26,000 approx a month by using bio-diesel and the oxy-power unit. A pilot study made us understand that it keeps the fuel systems and fuel injector cleaner thus reducing the vehicle maintenance cost and increasing the mileage. It will also help in additional employment generation. We would like to work closely with the government to make the shift to biofuels happen and we hope that they lower the GST on bio-diesel to 5%” mentioned Sohel. Biodiesel can be used in any diesel car without any additional modification as in the case of CNG. It is cleaner and more efficient than regular diesel. Biodiesel can be used alone or blended with regular diesel in any proportions. Muthoot Housing Finance Company Limted , subsidiary of Muthoot Fincorp Ltd. and the affordable housing finance arm of Muthoot Pappachan Group today announced the opening of its Regional Office at Banshankari 2nd Stage in Bangalore to make affordable housing a reality for the common man, in Karnataka. Presently MHFCL is present at 59 locations across 9 states and one UT. This move comes as a part of its national expansion plan to establish additional 15 new branches across the southern and northern regions. The company is focussed on making housing finance available to the common man at attractive terms and conditions . Customers can now avail affordable loan options/schemes like home loans, self construction, home extension, home improvement loan and loan against property. Muthoot Housing Finance Company Limited will be offering a range of home loans starting from purchase from builder, resale purchase, self-construction loans, home extension, home improvement and loan against property through these branches. Guided by the GoI’s vision of universal housing for the urban poor under the Pradhan Mantri Awas Yojna with a target of building 20 million affordable houses by 31 March 2022, the company has plans to penetrate further in this Karnataka region through its wide spread distribution network and disburse Rs 750 Crs of loan in the next 3 years. Aligning to the Group’s legacy, MHFCL’s long term vision is to enable every family in India to be able to live their aspiration of owning their own home. Pavan K. Gupta, CEO, Muthoot Housing Finance Company Limited said, “The affordable housing market in the state of Karnataka has been on an upswing owing to increased commercial activity, positive buyer sentiments, infrastructure upgrades and improved job opportunities and this is the right time for us to further strengthen our presence in this market. We are also using technology to quicken the process of approving these loans. Our team today has access to mobility solutions which help them provide a better experience to the customers and deliver solutions at their doorsteps. A ‘dream home’ is an aspiration for many, but majority of the urban poor population are not able to make this reality because of the unavaiablity of home loans facility in this segment. Muthoot Pappachan Group’s core credo is to Empower Human Ambitions and Muthoot Housing plans & efforts are all in fulfiing the Group’s vision in letter and in spirit. We aim to reach out to this segment and enable them to get faster and hassle free acccess to their dream abode”. Genpact, a global professional services firm focused on delivering digital transformation, today announced new customer experience enhancements to Genpact Cora, its modular, artificial intelligence (AI)-based platform that helps enterprises accelerate digital transformation at scale. The new features visualize and streamline workflows from the customer’s point-of-view to enable journey-driven transformation that connects the front, middle, and back-offices. The platform also is integrating patented Cora Journey360 software from TandemSeven, which Genpact acquired in September 2017. With these new capabilities, Genpact Cora provides a single view of customer journeys and personas, data-driven dashboards to track and monitor journey effectiveness, and connectivity to underlying operations. Genpact also is incorporating TandemSeven’s expertise in customer and user experience, design thinking, and agile methodologies. Genpact has implemented Genpact Cora more than a thousand times, and runs billions of transactions through the platform. The new enhancements expand on existing capabilities in natural language understanding, conversational AI, computer vision, deep learning, big data, data science, data engineering, machine learning, robotic process automation, ambient computing, dynamic workflow, and software-as-a-service. The modular platform allows clients to easily integrate advanced technologies, all delivered through a mature application program interface and open, flexible architecture. Genpact’s ongoing strategy to drive digital-led innovation and digitally-enabled intelligent operations helps clients deliver better customer experiences, and achieve greater return on investment and business impact. For example, Genpact worked with a global nutritional supplements company to automate the client’s customer relationship management and reporting processes. The transformation enhances service and allows the company to assist more customers faster, improving response time for order inquiries by 40 percent. In addition, a North American food giant deployed Genpact Cora to reimagine its trade promotion operations for competitive growth, driving significant improvements in payment accuracy, revenue leakage, and other efficiencies. 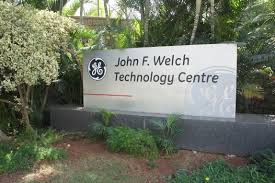 Benefits over the next five years are expected to increase revenue by $105 million and improve productivity 60 percent. Jaguar vehicles are available in India through 27 authorised outlets in Ahmedabad, Aurangabad, Bengaluru, Bhubaneswar, Chandigarh, Chennai, Coimbatore, Delhi, Gurgaon, Hyderabad, Indore, Jaipur, Kolkata, Kochi, Karnal, Lucknow, Ludhiana, Mangalore, Mumbai, Nagpur, Noida, Pune, Raipur, Vijayawada and Surat. The Weather Company, an IBM business, the leader in accurate weather forecasting and insights, hosted a first-of-its kind event, ‘The AgriTech Challenge 2018’ with the Agripreneurs Group, Smart Agripost and Graype.in. Attended by ~200 agripreneurs, researchers, corporates and financiers, this event provided a unique platform to discuss and crowd-produce solutions to resolve issues affecting agripreneurs and farmers in India. “This is The Weather Company’s humble attempt to involve the stakeholders, innovators and technologists to come together and address some of the challenges in the agritech ecosystem and contribute towards improving crop yield and output. 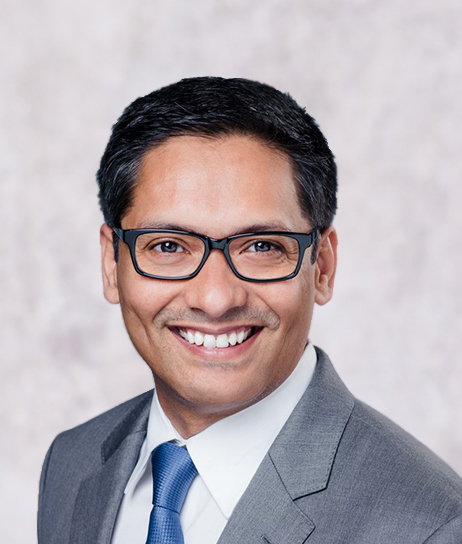 We see ourselves as a facilitator providing hyper-local accurate weather insights to help deliver what farmers and others involved benefit from - to make the best decisions for their business.”, Himanshu Goyal, Sales & Alliances Leader, The Weather Company. During the event, Himanshu Goyal addressed the audience on how crop production is becoming increasingly complex and the key role agronomists will continue to play in understanding the latest technology and interpreting those insights on the farm. Durjoy Mazumdar, Global Head of Enterprise Sales, IBM Watson Content & IoT, The Weather Company, also provided a bird’s eye view on why weather is such a difficult data-set to predict. Sriram Raghavan, Vice President, IBM Research & CTO, IBM India spoke about the steady progress the IBM company is making in transforming the agritech sector with new-age technologies including AI & Blockchain. The panel discussions included various tracks of ideation jams to build a roadmap to a sustainable agritech economy. Dushyant Tyagi – Chief Business Officer, iKisan, Nagarjuna Fertilizers and Chemicals Limited; Sagar Kaushik – COO, United Phosphorus Ltd; Ramesh Ramachandran, SVP, Strategy and Precision Farming, Mahindra and Mahindra; Rajesh Srivastava – Chairman & Managing Director, Rabo Equity Advisors (a subsidiary of Rabobank) were also present at the event and provided their expert views on crowd producing solutions to jointly set in motion a roadmap for a sustainable agritech economy in India. No company can function as an island and as our eco system broadens it typically deals with many entities like customers, partners, affiliates and others. When organized together these entities form what we term as the “extended enterprise” which is closer to the core of business than ever before. Organizations that step up to the challenge of developing programs to better manage this risk can elevate their position in the market by unleashing with confidence the reach, expertise and relationships that third parties can bring. Third party risk management has to become a top-of-mind priority for organizations. In this respect, our recent (third) annual EERM (Extended Enterprise Risk Management) survey, based on 975 responses from a variety of organizations across 15 countries of Asia Pacific, Americas, Europe, Middle East and Africa region ,has highlighted some interesting findings. 70% of organizations in India recognize an increase in risk but remain ill-equipped to deal with it because of inadequate or absolutely no knowledge of sub-contractors engaged by their third parties. In fact, 14% of the respondents in the survey stated that third party-outsourced relationships are not identified, monitored or reviewed at all. Controlling heightened risk: Dependence on third parties continues to grow, with over 70 percent of Indian respondents stating that their dependence on extended enterprise has grown owing to business and macro- economic conditions. Impact of external events (42 percent) and increasing threat of their party related incidents and disruptions were the two most dominant factors contributing to the perception of heightened risk in the extended enterprise. Enhanced board engagement: Board oversight and engagement with EERM programs continues to lag. At a global level, 78 percent of organizations suggest that the Chief Executive Officer (CEO), CFO, Chief Procurement Officer (CPO), CRO, or a member of the Board is ultimately accountable for this topic. In India, this decision rests with the Chief procurement or the Risk Officer. Boards in India are making relatively slow progress on this matter whereby 57 percent of the respondents suggested that their boards merely have a moderate level of understanding and engagement on this subject. Technology platforms: In keeping with the trend of increased centralized oversight of EERM activities, technology decisions are now being taken more centrally and standard tiered technology architecture is emerging. Less than ten percent of our global respondents in our survey are currently using bespoke systems for EERM, a sharp drop from just over 20 percent last year. Sub-contractor risk: Organizations lack appropriate visibility of sub-contractors engaged by their third-parties as well as the discipline and rigor to frequently monitor such fourth/fifth parties. 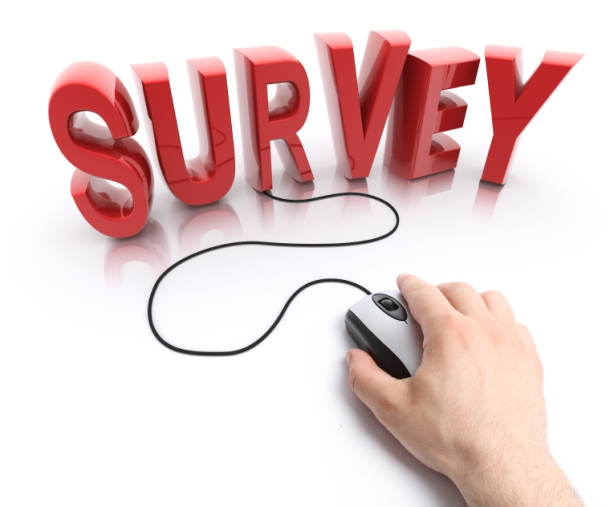 57 percent of survey respondents feel they do not have adequate knowledge and appropriate visibility of sub-contractors engaged by their third-parties and a further 21 percent are unsure of their oversight practices. 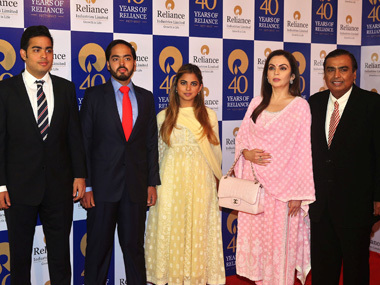 Reliance Industries Limited has said it has completed acquisition of close to 73 per cent stake in artificial intelligence-based education technology provider Embibe. "RIL, Embibe and the other stakeholders have completed all the closing conditions and have successfully completed the sale and purchase of the shareholding of the existing investors in Embibe to RIL. With this transaction, RIL will hold 72.69 per cent (on fully diluted basis) in Embibe," RIL said in a BSE filing. RIL in April had announced that it has entered into agreements to acquire close to 73 per cent stake in education technology provider Individual Learning Private Ltd (Embibe) and plans to invest USD 180 million into the company over the next three years. YES BANK, India’s fourth largest private sector bank, announced the launch of yet another successful edition of its flagship YES BANK Natural Capital Awards 2018 at Natural Capital Forum organized by Natural Capital Coalition (NCC), World Wildlife Fund (WWF) and YES BANK, on the occasion of World Environment Day. The awards recognize individuals, organisations and educational institutes dedicated to spearheading ecological conservation and environmental stewardship. The competition has gained a lot of popularity and saw a wide participation of more than 10,000 entries from Government, corporates, international diaspora, wildlife & natural history specialists, sustainability professionals, and multilateral agencies last year. Senior ministers including Dr. Harsh Vardhan Singh (Minister for Science & Technology, Earth Sciences, Environment, Forests and Climate Change); Suresh Prabhu (Minister of Civil Aviation and Commerce & Industry); Prakash Javadekar (Minister of Human Resource Development); Jitendra Singh (Minister of State (I/C) for Development of North Eastern Region) amongst others have participated in previous editions of the YES BANK Natural Capital Awards, and shared their valuable insights. 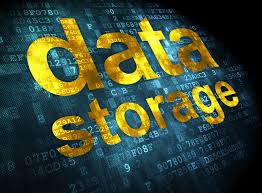 Creating environments for data to thrive, Western Digital Corporation has disclosed that Dropbox Inc., a leading global collaboration platform, has qualified and is the first to deploy the Ultrastar Hs14 host-managed shingled magnetic recording (SMR) hard disk drive (HDD) at exabyte scale in its custom-built storage infrastructure, Magic Pocket. Staying on the leading-edge of data technology advancements, Dropbox completed qualification and is deploying SMR for its cloud storage environment. Leveraging the 14TB Ultrastar Hs14 HDDs and the company’s custom-built storage architecture, Dropbox is taking advantage of greater storage density and increased power efficiency, at the same level of reliability for primary storage in its cloud data centers. 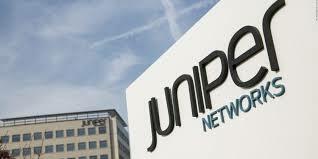 Juniper Networks, an industry leader in automated, scalable and secure networks, today announced its new MX Series 5G Universal Routing Platform along with several software innovations to provide the needed programmability, performance and flexibility for rapid service deployment in the cloud economy now and for years to come. Leveraging its vast experience with leading global cloud and service providers, Juniper is unveiling its fifth generation of the MX platform, which is now the industry’s only platform to deliver near-infinite programmability, cost efficiency and versatility with performance at scale. It combines the best of software- and hardware-based networking to equip carrier, cloud and enterprise customers for the evolving technological and business demands of next-generation services delivery. In line with its constant efforts to conserve the ecosystem it operates in, Amazon Cares the CSR initiative of India’s largest online marketplace, Amazon India, rolled out a campaign across its Community and Resource centers to celebrate World Environment Week 2018. Under the campaign, Amazon Cares conducted various initiatives from June 05th – June 10th to create awareness on environment conservation in the communities close to its Fulfillment centres. In an endeavor to initiate impactful change, Amazon Cares in partnership with its implementation partner Foundation Of Rural Development (FORD) organized an awareness rally among students and Community on the impact of Global Warming, climate change and role of the Community in protection of environment. 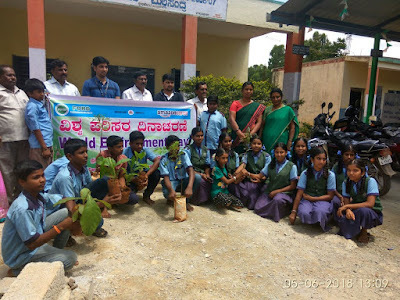 They educated over 300 students of the local community in the village of Anekal on the importance of conservation of energy resource, methods of proper waste management and discussed the hazards of pollution. This was followed by a sapling plantation in the school. Amazon India started the Amazon Cares – Community and Resource Centers initiative with the vision of ‘Creating opportunities and transforming lives’. The programs are designed to impact and enhance the lives of the local community in the areas of education, livelihood, environment, women empowerment, health and sanitation. The online marketplace uses its resources and infrastructure of innovation and technology to support India’s development. Besides, Bangalore, Amazon has conducted similar activities across India like awareness rallies, sapling plantation, lake restoration, village clean up, etc. across India ranging from Sonipat, Manesar, Tauru in Haryana to Ludhiana, Maharashtra, Ahmedabad, Hyderabad and Chennai.